Our attorneys are dedicated to serving our clients in litigation before federal and state courts, as well as government agencies in all areas of labor and employment law. Our attorneys’ skill and experience is widely recognized in the legal community. Berke-Weiss & Pechman LLP is AV Preeminent rated* by Martindale-Hubbell. Louis Pechman and Laurie Berke-Weiss each have been selected for inclusion in New York Super Lawyers and Best Lawyers lists since 2006. They frequently lecture on employment and labor law topics for other lawyers. For more than a decade, Louis Pechman has organized and moderated a program at the New York County Bar Association titled, “How to Handle an Employment Discrimination Case,” which provides training to numerous attorneys in various practice areas. 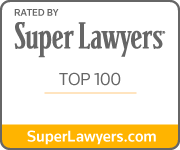 He was named as one of the “Top 100 New York Metro Super Lawyers” for 2013. Laurie Berke-Weiss, a past president of the New York Women’s Bar Association and a former Chair of the Executive Committee of the New York City Bar Association, is a leader in the New York Bar. She was named as one of the “Top 50 Women New York Metro Super Lawyers” and “Top 100 New York Metro Super Lawyers” for 2013. To learn more about our professional experience and areas of practice, please follow the links below. Contact a New York employment and labor law lawyer by calling 212-583-9500 or completing our online contact form. Consultations are convenient and confidential.